This article is the last of Galen Central’s summer series profiling USC’s incoming basketball class, including transfers. Prince is a 6-7 small forward who was California’s Gatorade Player of the Year in 2012-13. He is currently ranked 92nd in the Rivals.com’s Top 150 for the Class of 2013. Read earlier profiles on: Kahlil Dukes, Nikola Jovanovic, Julian Jacobs, Pe’Shon Howard, Katin Reinhardt, Darion Clark, and Devon Pflueger. A few weeks ago, Roschon Prince graduated Long Beach Poly High School, ending his highly decorated and accomplished high school career. In 2011, he was a part of Long Beach Poly team that won the CIF Southern Section Championship. In his senior season, Prince averaged 20.3 points 7.2 rebounds, 2.3 assists, and 1.4 steals per game and became the only player in school history to reach the 2,000 point benchmark in his career. Prince’s outstanding play led him to be recognized as California’s Boys Basketball Gatorade Player of the Year with Parade All-American honors. After winning CIF in 2011, Prince led Long Beach Poly to the Southern Section Semifinals and state tournament in both his junior and senior seasons. 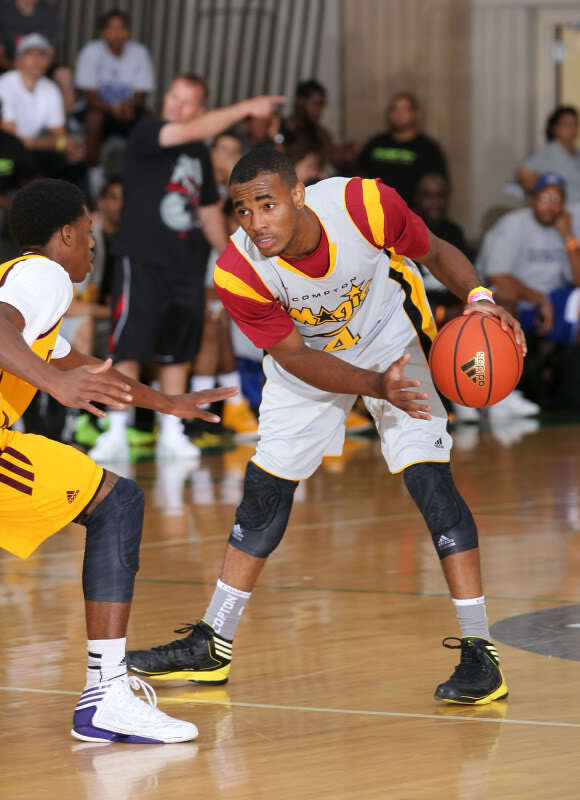 Long Beach Poly’s success allowed the team to play elite high school competition. Prince is hoping that some of his basketball experiences against good competition will help him in the future. Prince is one of four freshmen along with Kahlil Dukes, Nikola Jovanovic and Julian Jacobs that signed in the fall and kept their pledge to USC after Kevin O’Neill was fired in January. Prince seems to think that the coaching change will not be a problem. He has great first impressions of his new head coach, Andy Enfield. According to Prince, you can tell Enfield “is a good person with a great personality” just by talking to him. Some people view entering college with a new head coach as a bad situation, but Prince views the situation as something he can take advantage of. Andy Enfield gained notoriety in the NCAA Tournament when the nation fell in love with Florida Gulf Coast’s up-tempo style of play, nicknamed “Dunk City.” Enfield stated in his introductory press conference that he plans to maintain an up-tempo style of play at USC, shooting the ball within the first seven seconds of possession. Prince’s believes his playing style should be a perfect fit. Prince said that if had to compare his game to any NBA player it would be Kawhi Leonard, although his favorite player is LeBron James. Enfield’s past experiences have led him to be known as the ‘shot doctor’. In his playing days at Johns Hopkins, Enfield shot an NCAA record 92.5 percent from the free throw line. His first basketball jobs were as a shooting/skill development specialist for Mike Dunleavy’s Milwaukee Bucks and Rick Pitino’s Celtics, before leaving to be vice president of finance at a healthcare software startup called TractManager. After six years, he returned to basketball as a Florida State assistant and then Florida Gulf Coast’s head coach. Former players like FGCU’s Chase Fieler continue to praise Enfield’s shooting coaching, and Prince is hoping the “shot doctor” can help him achieve Leonard-like improvement is his jump shot. With USC losing several key players, there is lot room for incoming players to help contribute immediately. Since Prince is a very versatile player, he says he is willing to do whatever the coaches ask him and play whatever position will help him gets him on the floor. Whatever position Prince plays his freshman season, he hopes to have an impact. While individual accomplishments are great, Prince has one main goal in mind for his tenure at USC. If Prince is able to produce at USC like he did in high school, the Trojans might have a decent shot.